With the UK population living longer, the mature market is an expanding travel sector but to woo such clients agents may need to cast off out-dated preconceptions. “My parents, in their 80s, are well-travelled, have been long-haul, stayed in some really nice hotels and are used to negotiating airports. Compared to their parents it’s very different,” says Shearings’ managing director Jane Atkins. The company has invested in its hotel infrastructure and in Wi-Fi on coaches plus it’s added more adventurous options. “People may not want to bungee-jump off a bridge but there’s a fitter, more energetic mature market,” says Atkins. Saga’s head of trade sales Iain Powell agrees. “People are getting younger... it’s a willingness to travel and openness to new experiences,” he says. The operator now includes a Go For It range of adventure tours. 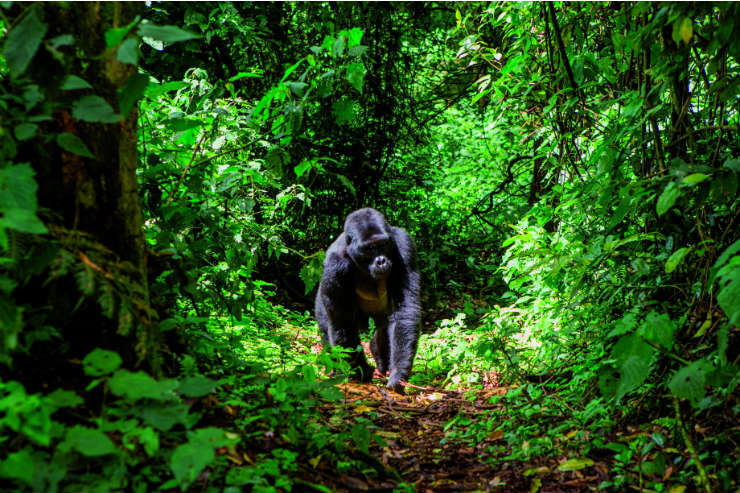 Treks to see gorillas in Uganda are proving popular. Evolving expectations prompted Collette to relaunch its Explorations brand with a maximum of 19 per party. “We can get into the boutique hotels and cooking classes... and we can visit someone’s home because our guests want to meet locals,” explains Elizabeth Simmons, senior vice president of global sales. Older clients have also spread beyond mature specialists. Intrepid, for instance, notes an 11% increase in 60+ travellers joining its tours in 2018 compared to 2017, with adventure cruises and foodie breaks particularly popular. Independent pensioners may still resist age-specific touring. “The phrase we like to use is ‘making the difficult easy’,” says Atkins. Shearings’ popular Silverstone Grand Prix trip, for instance, sorts transport and tickets but leaves clients free on the day. Destination trends reflect an adventurous bent. China, Japan and cost-effective India have been booming for Saga, which has also added Colombia. Trafalgar has launched an Africa programme including the Serengeti. Collette’s rising stars include Finland with dog-sledding. Oceania Cruises, meanwhile, notes a trend for mature wellness and has introduced complimentary exercise classes, vegan menus and healthy excursions. 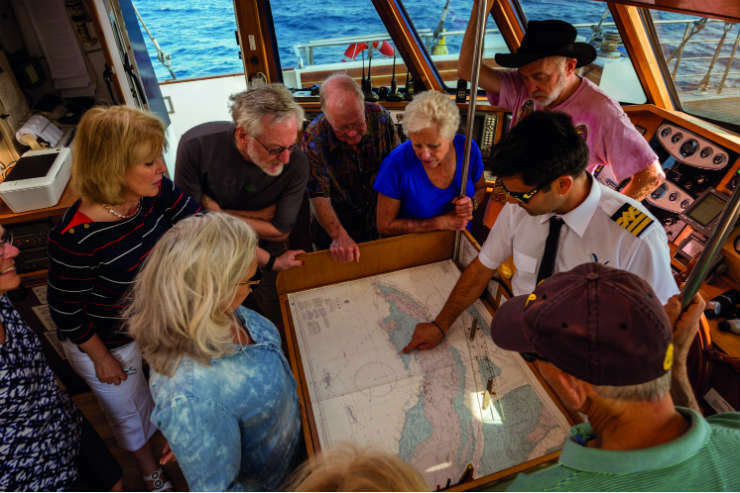 Recent research by Viking Cruises shows 18% of over-65s regularly travel with children and grandchildren, with one-in-three holidays now multi-generational. Shearings also stresses the importance of flexibility – an extended family heading for Disneyland Paris may arrive by a combination of coach, Eurostar and self-drive. In the same vein, Costsaver’s packages include a range of Optional Experiences, while Fred Olsen courts mixed-ability parties with, for instance, over 30 excursions on its Jordan, Oman and Abu Dhabi fly-cruise including a seaplane flight and kayaking. Saga commonly has adult children travelling with parents who are in their 70s and 80s, and recommends river cruises for this demographic. “There’s a relaxed pace of travel for the primary customer, and the middle-aged guest can essentially do a range of city breaks,” explains Powell. Shearings’ river cruise partner A-Rosa allows one under-15 free per paying adult, which is ideal when grandchildren are coming along too. Conversely, solo travellers are a large sub-section of the mature market – 20% for Saga, which is making 100 of the balcony cabins on its new 999 passenger ocean liner Spirit of Discovery singles. Backwaters Tours, meanwhile, has new no single supplement cruises on eco-friendly vessels departing Folkestone. Understanding individual fitness levels is also important. Some operators grade holidays accordingly. Collette offers optional ‘tours within a tour’ by coach, foot, bike, Jeep or horseback. InsideAsia recently added a Japan itinerary with wheelchair- users in mind. It also suggests tours with a steady pace and extended stays in one place like its Soulful Pursuits in Laos and Cambodia. Headwater recommends e-bikes for a power-assisted boost. “Great news if holidaying with younger friends or family, or you don’t want the grandchildren to leave you behind,” says head of product Christian Locke. Reducing travel hassle, The River Cruise Line offers over 100 regional coach pick-up points plus Eurostar, while Inghams offers 23 regional airports. For mature travellers reluctant to fly, coach travel is not the only option. “People are often surprised just how far you can travel in Europe by rail,” says Tim Fleming, sales and business development manager for Arena Rail Holidays, whose range includes Slovenia, Hungary and Morocco. Mature market specialists often offer insurance covering pre-existing medical conditions. Saga, for instance, recently took a couple in remission from cancer to India. Shearings points out that such policies may be £200 instead of £80, but on a £3-4,000 holiday, it is unlikely to be a deal-breaker. With landmark birthdays and anniversaries a feature of later years, on-the-ball agents can land some lucrative bookings. 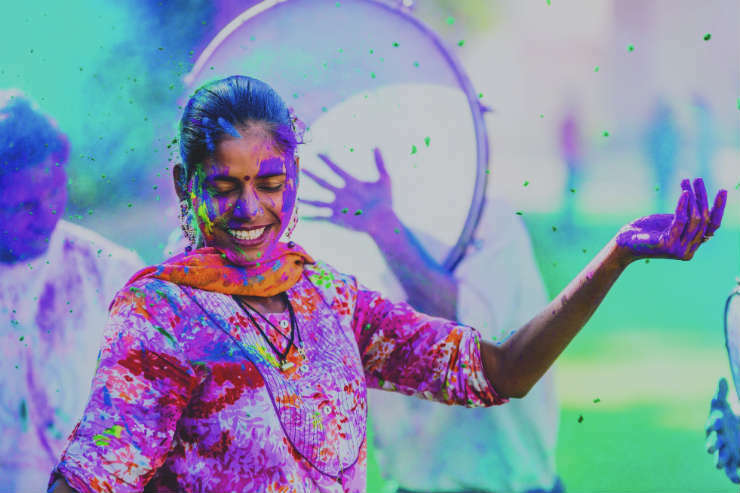 Western America by private jet and the Holi festival in India are special inclusions in Shearings’ new Worldwide brochure. Premier sees many newly retired clients celebrating with a ‘holiday of a lifetime’ over three to four weeks, with New Zealand particularly popular. At sea, Scenic Eclipse, has onboard helicopters for clients celebrating special occasions. 1. Create coach converts using events and short breaks as hooks to illustrate their comfort. 2. In the UK, apartments are perfect for multi-generation families. 3. Look for tours with personalisation for the well-travelled, so if they’ve already seen the Colosseum, they have an alternative. 4. Over-50s will happily spend more to fly from regional airports, recent Saga research has revealed.